The guys from Mbed decided to create a DIY controller for Angry Birds that will let you play the game using a real slingshot, and it features an accelerometer and can control the game in the same way as the touchscreen controls. The video below shows the USB Angry Birds slingshot in action, and as you can see from the video it certainly looks like a fun way to play Angry Birds. 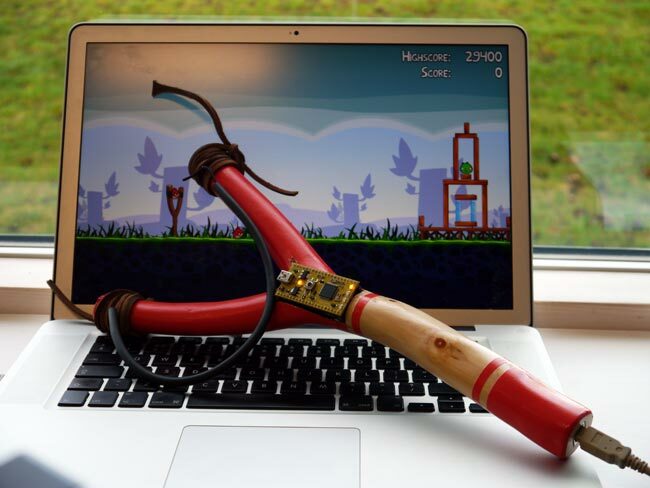 You can find out full details on how this USB Angry Birds slingshot controller was made, and there are also detailed instructions on how to make your own over at Mbed.